Unless you're new to the Internet or have been living in a cave you know that social media has been an influential part of the Web for well over a decade. As an interactive social instrument of communication, social media has shaped how we communicate with each other, all thanks to that wacky tool we call the Internet. Social media isn't a static tool though, oh no no no. Websites and applications that have interactive social communication tools have been coming and going for a while now, with new versions supplementing and even replacing older forms. We've come a long way from the early bulletin board systems (BBSs) which allowed users to exchange messages and other data. By the time Friendster and MySpace arrived in the early 2000s, social interaction with family and friends was being taken to a new level on the Web. Then along came Facebook, LinkedIn, and Twitter, each bringing different aspects to the world of social media. Facebook became the heavyweight in sharing information with family and friends; LinkedIn brought social media to the business world, and Twitter made microblogging fashionable for individuals and businesses alike. But just as the Facebooks of the world have overtaken other social media sites in popularity, so shall newcomers arrive. The newest contestants in the battle to be the latest social media darling bring with them new ways to share and interact with others, including in the realm of the mobile device, an increasingly popular platform for social media. Here are four relatively new social media sites or applications that stand a chance of making a noticeable impact (if they haven't already). 1. Pinterest: If you're an active female Internet user, you probably have heard of Pinterest by now. Dubbed the third most popular social media site last week, Pinterest has apparently captured the interest of the female population, boasting a nearly 97 percent subscribership from that demographic. Pinterest gives users the ability to share images they find on the web with friends via “pinboards.” A user can have multiple pinboards, each with a different theme, featuring the ability to be commented on and shared yet again on another user's pinboard. My Pinterest account, for example, has a mere three pinboards: one for places I'd like to travel to, another for things that “capture my imagination,” and another for writing themes. Some users have much more. The site is very image-centric, however. While you can share news stories and other written media on the site, it can only be done through pinning an image associated with the written media. Overall, if you prefer sharing images rather than the written word, Pinterest is definitely a social media site to try. 2. Google+: Before there was Google+ there was Google Buzz. Introduced in 2010, it was met with significant criticism for its implementation. Not to be deterred, the company tried again in late 2011 with Google+. Its initial release caught some eyes, but it was slow to take off. Since then, though, it has seen a steady increase in use. Google is hoping, even more, jump on board with its first redesign of Google+, introduced yesterday. Built as a competitor to Facebook, Google+ has new features like a customizable navigation bar, stream of conversation “cards,” large image and video support, and “Hangout” pages. Like many new social networking sites, there are concerns about whether or not your friends are using or going to use it. New data indicates at minimum businesses are giving Google+ more consideration this year, and more individuals are sure to follow as Facebook continues to be an annoyance to some. 3. Instagram: Another photo sharing tool but this time in the form of a free, purely mobile application Instagram allows users to photograph something with their smartphone, apply a unique array of filters to the resulting photo, and then share it on Flickr, Facebook, and Twitter. Instagram doesn't necessarily allow for social interactions, but rather it acts as an enabler for sharing photos on other social networking sites. 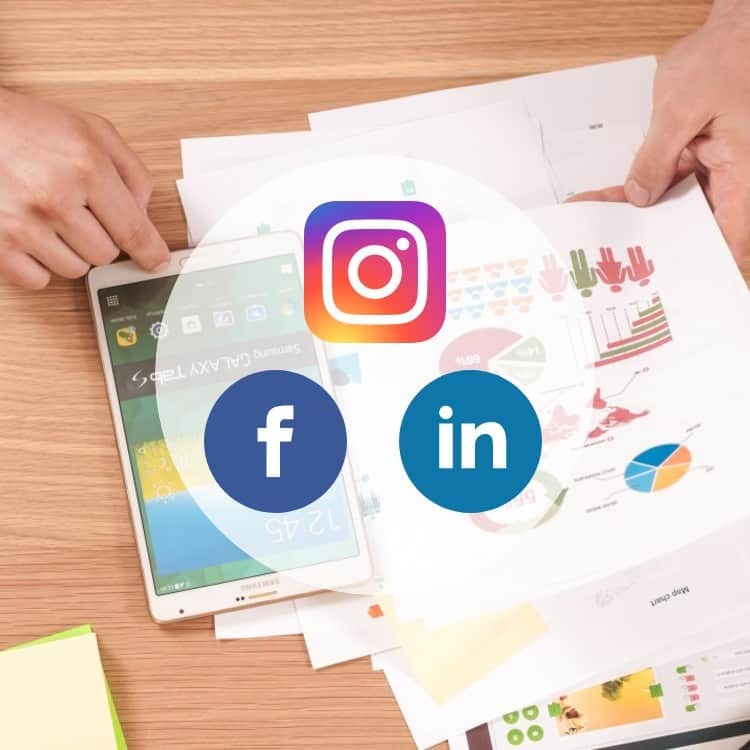 On April 9, news broke that Instagram was being bought by Facebook, but with the recognition, it would remain separate from Facebook, at least in the short term. This raised a few eyebrows, and even some of Instagram's most avid users weren't thrilled by the news, resulting in a variety of negative comments. This leaves many to wonder about the long-term future of the social networking tool. Many are hoping as Facebook better defines its goals for Instagram to the public, the application's future may become clearer. 4. Springpad: Perhaps not the most widely-known social media entity, Springpad has been around since 2008 as a place where users can save, organize, and share ideas and information like recipes, travel recommendations, and to-do lists in a “notebook.” A new update to Springpad was revealed yesterday, however, that aims to make it an even more “social” media tool. Now you can share your notebooks publicly or privately with other users. Additionally, you can now follow other people's notebooks, which like Pinterest, can receive their own theme, allowing you to follow a user's recipe notebook but not their travel itinerary. Images now play a heavy role in notebooks, allowing for more than just text to be shared. Springpad can be accessed via the Web or through a mobile application, making it even easier to update your notebooks at any moment. It will be interesting to see if the changes draw in more of the typical social media crowd, especially given the recent surge of interest in Pinterest.